The Dirty Work – A Giveaway! I cook–a lot. I clean–a lot. Duh. I use The Scrubbies, the best cleaning pad you’ll ever use. And the only one you’ll ever need. They’ve got Scrubbies for the kitchen and bath, for heavy duty outdoor cleaning, and for personal cleansing. I’ve been using the facial Scrubbie and my skin feels fantastic! Check out their Facebook page and their website! Order some! You’ll throw away your other sponges, cleaning pads, and scrubbers. 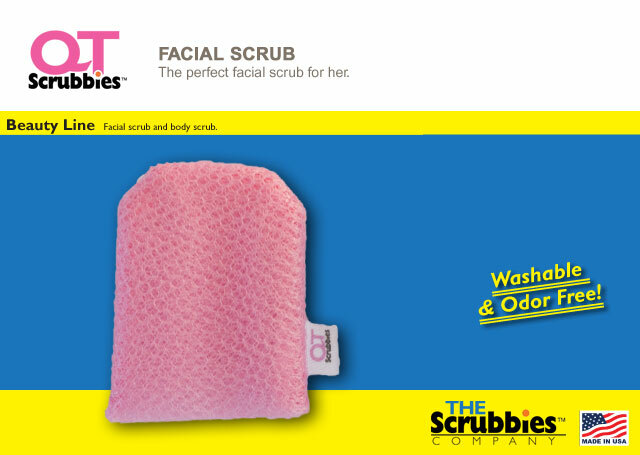 If you’re in Downtown Riverside, you can pick up a Scrubbie at Mrs. Tiggy Winkles. Soon, you’ll see them at Bed, Bath & Beyond and other retailers. Do your part and support local business and buy items made in America! In the meanwhile, I’m giving away some Scrubbies! Yep, I’ve got 2 sets of Scrubbies to give away! 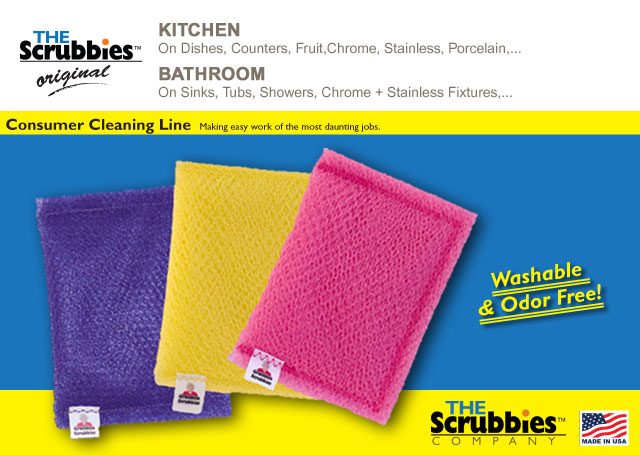 1 winner will get a Grandma Scrubbie (Multi Use Cleaning Pad for dishes, counters, bathrooms, stainless steel, etc.) 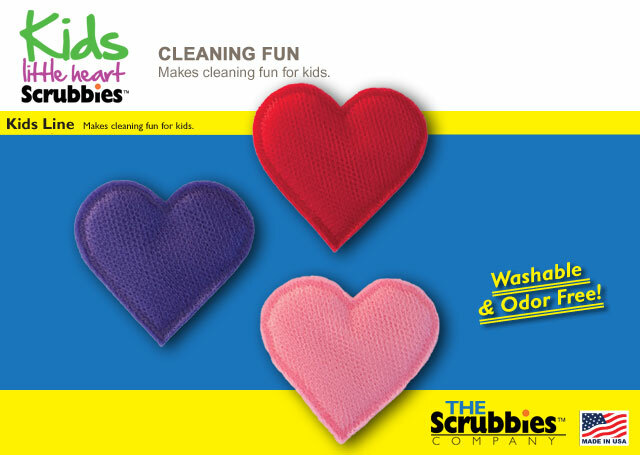 and a Kids Little Heart Scrubbie (in purple) and another winner will receive a Grandma Scrubbie and a Kids Little Heart Scrubbie (in pink). All you have to do to enter to win is to leave a comment below telling me your worst or most dreaded cleaning job, or share a story about a nightmare of a cleaning job that just didn’t go your way. I had to throw away a fairly new sauce pot once after burning the bottom. Maybe a Scrubbie could have saved it. I’ll draw 2 names on Friday, June 7 at noon. Comment AND SHARE! Worst and most dreaded cleaning job: cleaning my cast-iron grill pan after I have grilled something with a sweet sauce or glaze. 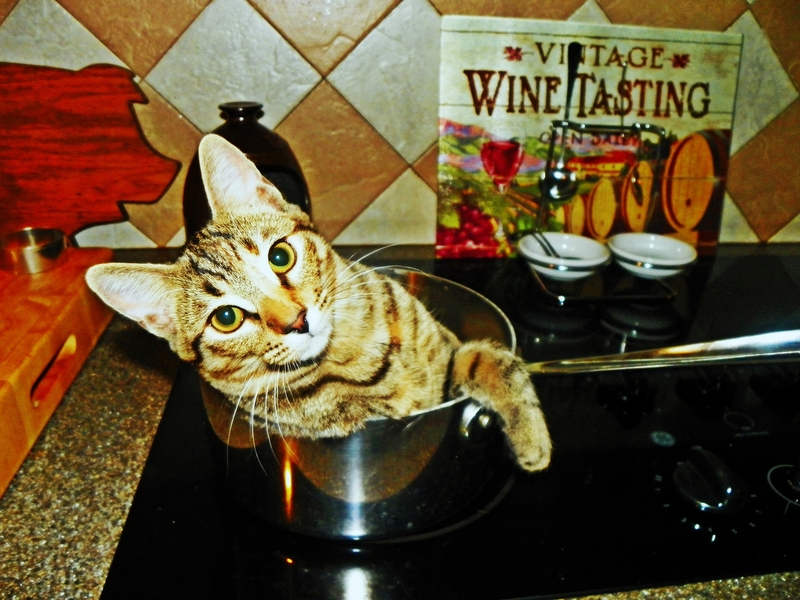 The sauce tends to over-caramelize and harden and stick to the pan. It’s a mess and I usually ruin my nails too. These sound great–nice of you to support a local business! My refrigerator. I don’t know who keeps spilling stuff but it is a mess in there most of the time. 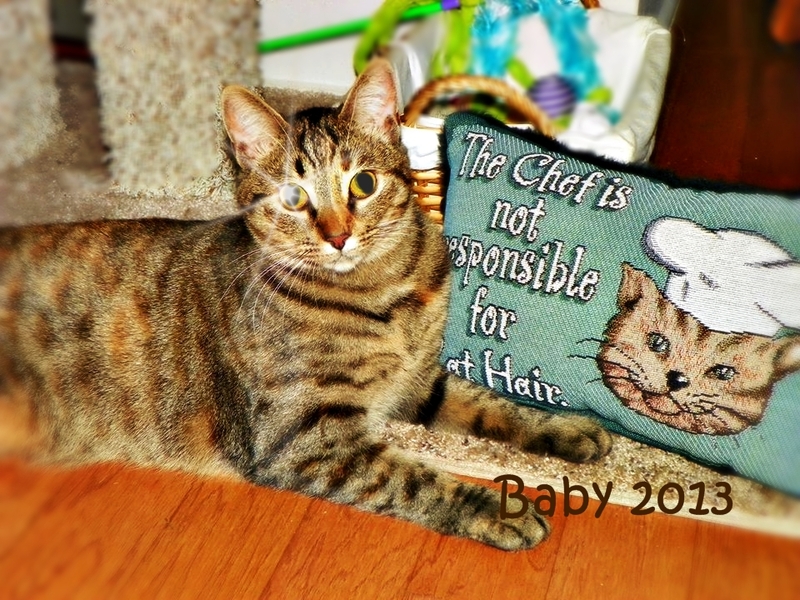 My dreaded chore…the bathtub! We have hard water stains and mineral deposits. These Scrubbies sound like they can handle the job! Thanks for posting! Mariann–I’m happy to promote local businesses! And the fact that it’s for a friend is even better! It’s a great product! I would have to agree with Julie on the cast iron grill pan. I even had to throw one away last year ..I hate to admit that. Worst cleaning job ever. . . Cleaning the oven! Not only is it usually a mess (I cook a lot) but the hight and depth make them impossible to get to! Maybe a Scrubbie with a long handle. The stove is bad too, I try to tackle that the day before I get my nails done. I’ll be heading out to pick up some Scubbies! Anything bathroom-related is a nightmare for me. Thanks for this lovely offer, Laureen! The shower!!! I am the only one that scrubs it. Every time I scrub it I promise myself that I wouldn’t go longer than a week, but….life happens! I dread cleaning burned on oil after frying fish or chicken. You know, that brown ring that isn’t exactly burnt just really gummy. My husband dreads it when I ask for his “muscle power”.